As the budget debate continues on Capitol Hill, the U.S. military braces for a second round of automatic spending cuts. Pentagon leaders say another year of reductions will have damaging effects on national security, while others welcome a new era of defense austerity. CFR Adjunct Senior Fellow Carla Anne Robbins offers three things to know about sequestration and defense spending. 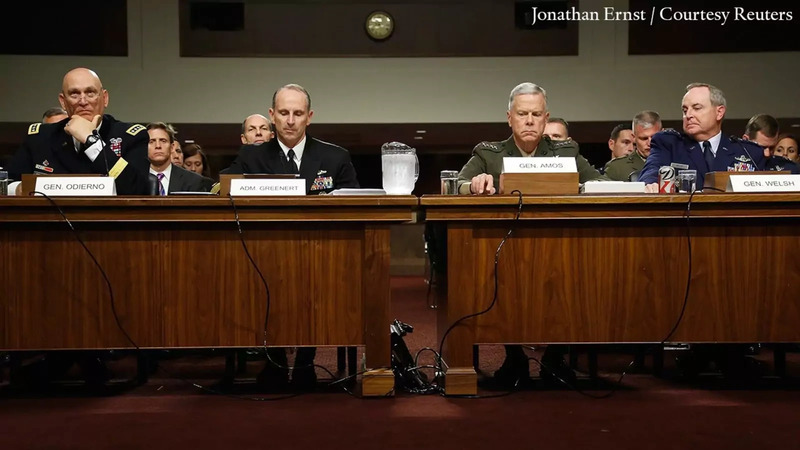 More Room to Cut: Defense leaders have balked at a projected $500 billion budget cut over the next ten years, but Robbins notes that following the attacks on September 11, "the Pentagon got everything—and more—that it asked for." Between 2001 and 2010, base defense spending grew by nearly half to $528 billion. In FY2013, it decreased to $498 billion, and if there is a sequester next year, the number is expected to drop another $21 billion. "These cuts are no deeper than they were after the end of previous wars," she says, adding that it is a good time for "a reevaluation of strategic priorities." Fundamental Flaws: "The [sequester] process is anything but rational," Robbins says, attributing a "yearly game of political brinkmanship" to the problem. Defense spending "has always been captive to special interests and pandering," and the sequester has exacerbated the problem, she says. New Strategies Needed: Robbins says the White House has precluded a healthy debate over defense spending by sticking with a losing strategy of "just saying no" to sequestration. With any luck, the next few months will offer the Obama administration and the military establishment the chance to move past the denial stage, she says. "But politics and inertia make it unlikely."